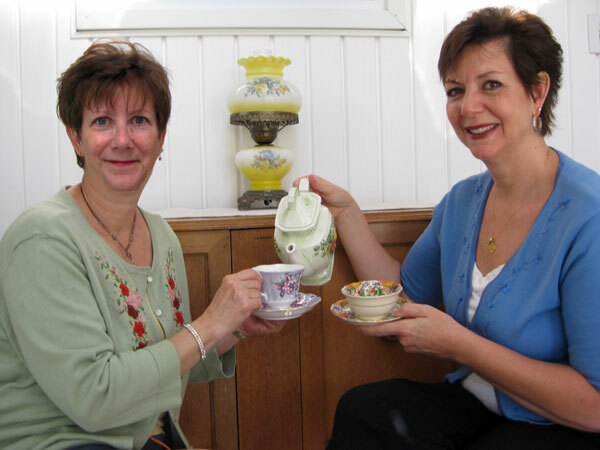 We are so proud of our Tea Room and look forward to welcoming you! awarded the Heritage Home distinction by the Lake County Historical Society. (Learn more about our Heritage Home distinction here). 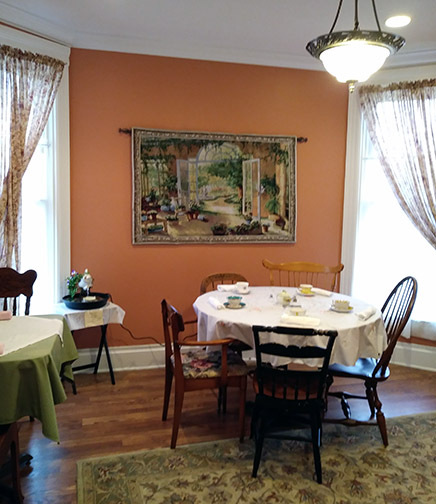 Also check out our Media Page to see stories and videos about our Tea Room! our restroom is large enough for most wheelchairs and walkers. over 50 varieties of carefully selected premium gourmet loose leaf tea. We are sisters of English, Scottish and Italian heritage. to craft our own timeless tea service. and, of course, at the dinner table. Let us create a relaxed atmosphere for you and yours to savor family, friends and food.